Sure it's been done before, but it never gets old. There's something magical about dry ice, bubbles, and especially the result you see when they're combined! 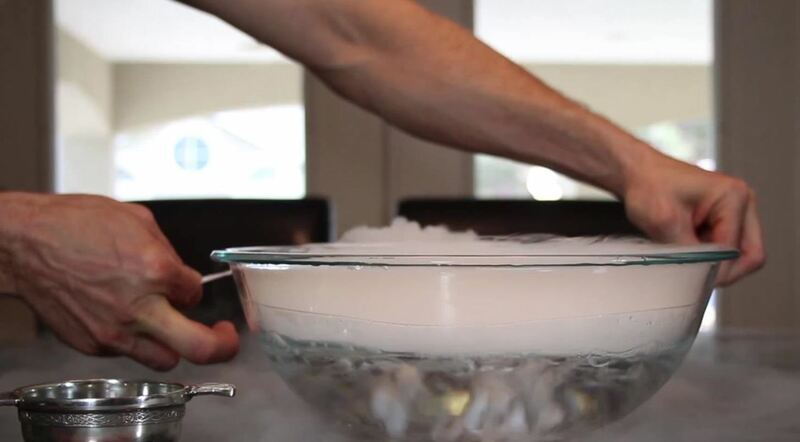 For this experiment, I filled a bowl about half full with warm water, and placed a few chunks of dry ice inside to assist in a quick sublimation of the dry ice into CO2 gas. The cup on the side was filled with "Super Miracle Bubbles" bubble solution, and a string was soaked in it. I also wet the lip of the bowl with the bubble solution, being sure that none of the solution got in the water; that results in millions of tiny bubbles frothing up from the bowl, and will ruin the experiment—and make a big mess. The string was held taught, and slid over the top of the bowl, resulting in a bubble film residue. 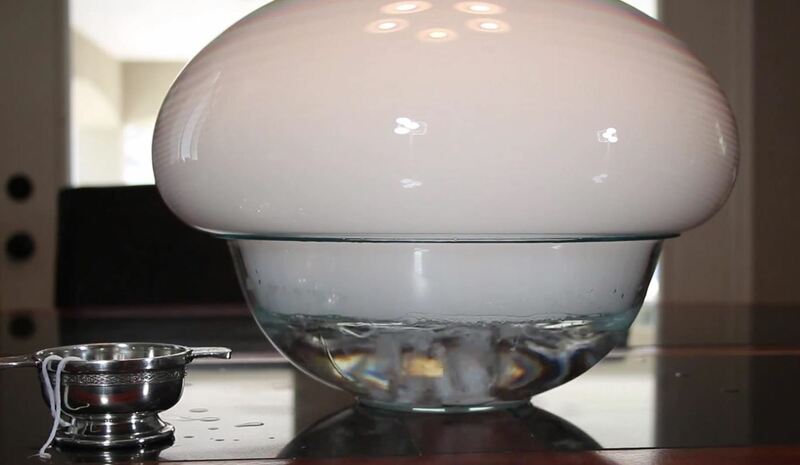 As the CO2 gas is released from the dry ice, the gas fills the bubble, and it inflates until the surface tension of the bubble can no longer support the pressure being exerted on it. My favorite moment, is the point of release, where the bubble pops, and the vapor pours down over the table. "Quick Clips" are videos of random science experiments in a minute or less. For other projects, check out my other articles here on WonderHowTo or see the videos at thekingofrandom.com.